"Businesses Readily Involved in Developing Genuine Education"
​Why is there a need for a School/Business Partnership? 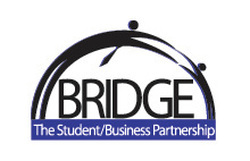 Develop a positive relationship between the school and community businesses. Provide opportunities for students to gain knowledge about career paths. Provide the community with graduates who are knowledgeable in fields within Washington and surrounding areas. Provide students with positive role models within our community. In what way can a business contribute to the partnership? Guest Speaker: Speak to a class on a topic related to an occupation/business to facilitate a connection between curriculum and the world of work. Tours: Allow students to tour the actual workplace. What is the process for engaging in a partnership? A teacher or School/Business Partnership Liaison will contact a place of business to participate in the School/Business Partnership program. A discussion will occur between the teacher and the business member to determine the goal and the expectations of the partnership. The Partnership Activity Form may be completed by the teacher in collaboration with the business partner to aid in planning the event. ​Click Here to view the program's Handbook & Directory.